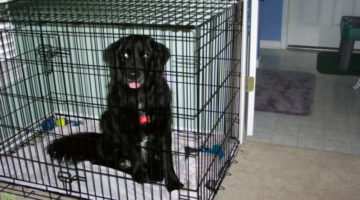 Thinking of getting a Labrador retriever? This breed is known for its desire to please their master. Usually, they excel as guide dogs for the blind and thrive as part of search-and-rescue teams or in narcotics detection with law enforcement. Here's everything you need to know about Labrador Retrievers. 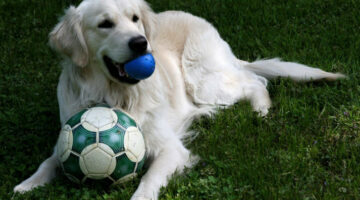 Lance Armstrong’s dog, Rex, was a gift from his former girlfriend, Sheryl Crow. Rex is a yellow Labrador Retriever who was born with a heart problem. Puppy ZIGGIES are long-lasting dog chews made by the KONG Company. Here’s why Puppy ZIGGIES are great for young pups and adult dogs, alike. And why dog owner love ’em too! 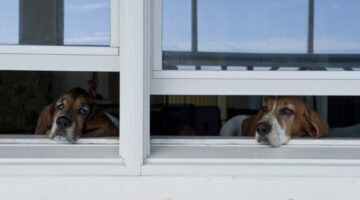 Got Dogs?… Better Check Your Doors Windows! Dogs frequently like to look out windows and screen doors, but it’s important to realize the many dangers that lurk around windows and doors when it comes to your pet. Here’s what you need to know… some little-known facts that could save your dog’s life! 10 Things You MUST Do Right Away To Make Your Dog’s World Safer! Here are some things that I’ve learned along the way that can be deadly to a dog… Each of these is a common everyday object or occurrence in our lives with dogs, so consider these a few things that you may simply need to modify a bit in order to keep things safe for your dog around the house. My Dog Caught A Bunny Rabbit… What Should I Do? I’ve often wondered what we should do, on those rare occasions when your dog actually catches — but doesn’t kill — some form of wildlife. In our case recently, it was a couple of baby bunny rabbits. Here’s what I learned… and what we did. Jim had just returned home from a business trip. Destin was thrilled to hang out in the backyard with him for awhile & enjoy the sunny outdoors. My dogs were as confused by ‘Heel’ as I was. I certainly wasn’t teaching them very well. Here’s how I incorporated some things from Loose Leash Walking and added my own modifications to get my dogs to understand the concept of ‘Heel’. Finally… dog walks are enjoyable again! When it comes to dog food & treats, I’ve never been one to splurge on ‘extras’ just as as gravy or sauces for dog food. But when our adult dog stopped eating and started losing weight, we found IAMS Savory Sauce to be the perfect solution!